Welcome my friend Brock to the Acura family! 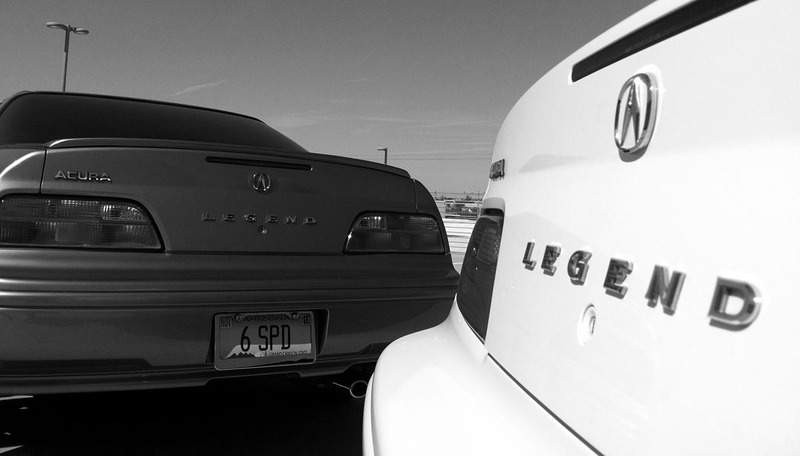 I love it when others can appreciate Acura like I do. You may remember when my friend Jeremy picked up a local Legend several weeks ago. 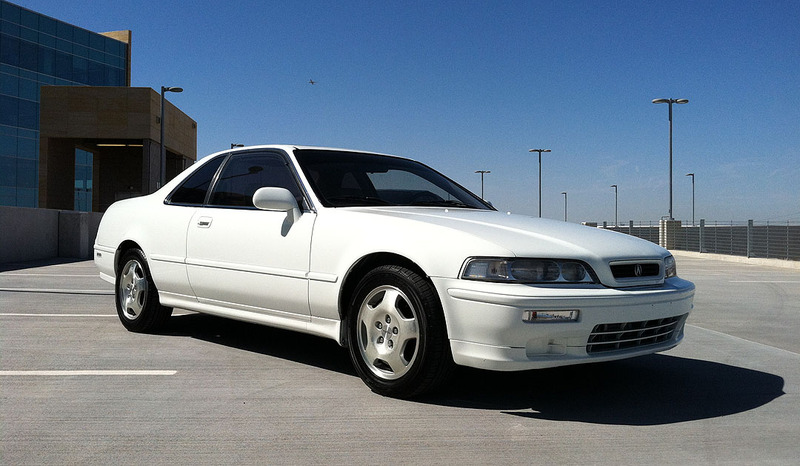 Having recently owned a Nissan 300ZX and a late model Honda Accord, another friend, Brock, drove home from Los Angeles yesterday proudly in his first Acura acquisition: a 1994 Legend L coupe in Taffeta White exterior with Ivory leather interior. 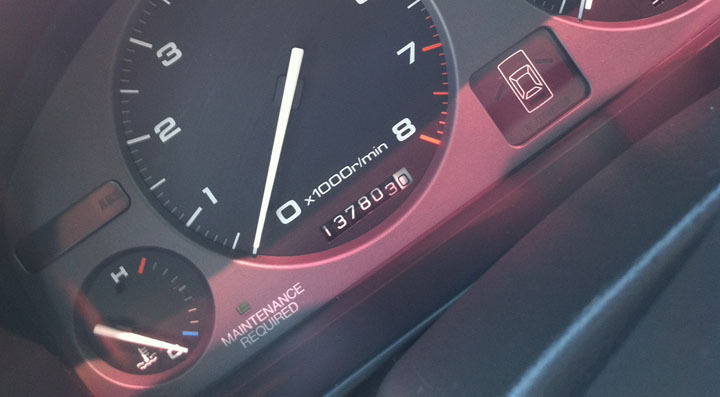 Brock’s new ride has only 137,800 miles on the odometer (which works out to about 7,600 per year). We snagged a few pictures of our same-year Legends on the way to lunch in Tempe, Arizona today. The white Legend feels mechanically very solid and it rides super smooth. Brock’s loving the manual six-speed transmission. Brock’s already planning a few subtle upgrades and fixes: chrome exhaust tips, black (correct color) foglight covers for the front bumper valance, and some moderate window tint on the front two roll-up windows. My old Desert Mist Metallic ride got a hand-wax this morning with Meguiar’s Gold Class liquid wax so the paint is silky smooth and glossy. Thought I’d also share an update from my rooftop science experiment, too. Anyone who follows my blog knows that I’m all about making things last. About two years ago, I thought I’d have a little fun with automotive durability testing on a smaller scale (1:18 scale, to be exact). 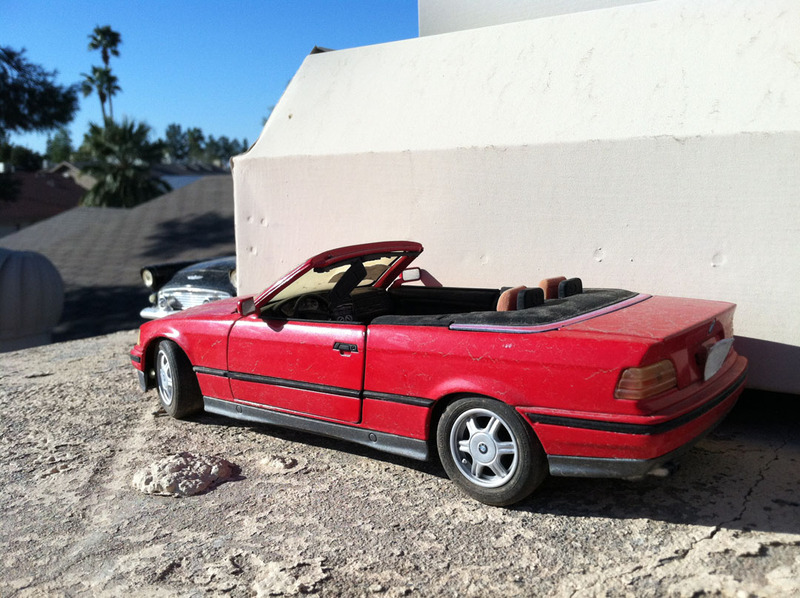 I was getting ready to get rid of some die-cast model cars but decided instead to see how the paint and interior finishes stand up to the Phoenix, Arizona extreme climate on top of my roof. It’s been fun to watch! I climbed up yesterday afternoon to check the status on a “fleet” of 6 vehicles that have been parked up there for quite some time. 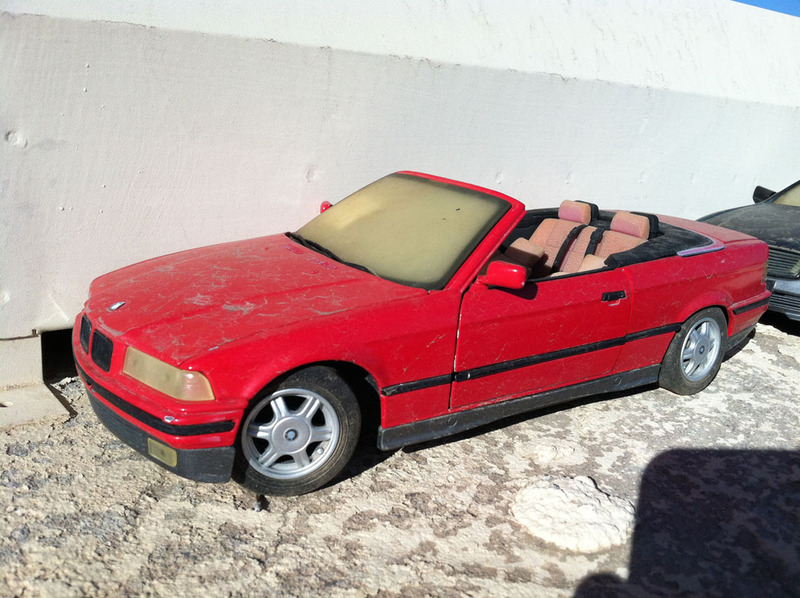 This 1994 BMW 3 series convertible has seen better days. 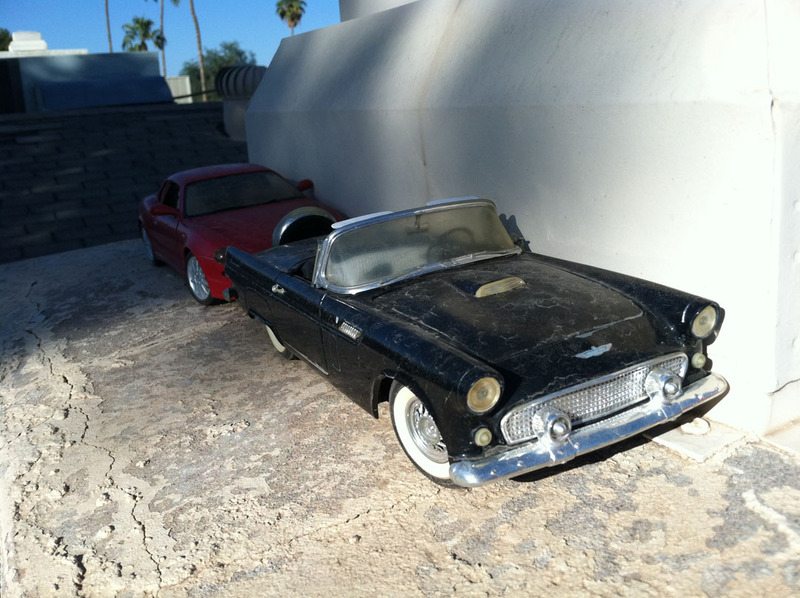 And the 1957 T-Bird is pretty severely oxidized, too. Let’s not forget the 1957 Chevy Nomad and the Aston Martin. I take pictures about once a quarter to see how things are weathering up there. I’ll keep everyone posted on the latest developments! 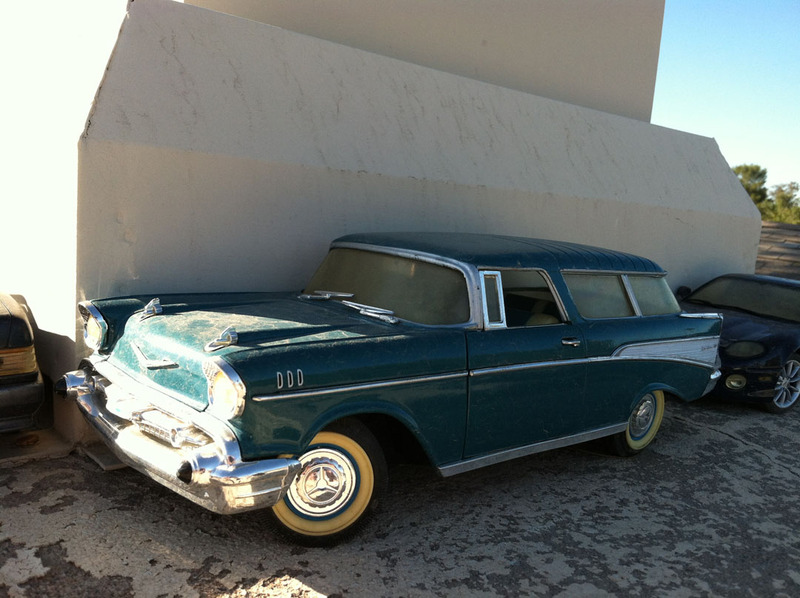 This entry was posted on February 26, 2012 at 9:07 pm and is filed under Legend, Reader's Ride. You can follow any responses to this entry through the RSS 2.0 feed. You can leave a response, or trackback from your own site. I think those cars are holding up extremely well! I think Honda makes some great paint finishes on their cars, but one color in particular seems to have faded worse than other colors in their lineup… Heather Mist Metallic. This color seemed to suffer from fading more than any other color. The Sherwood Green and Flamenco Blacks had an odd scaling that occurred in the finish of the hood and roof. 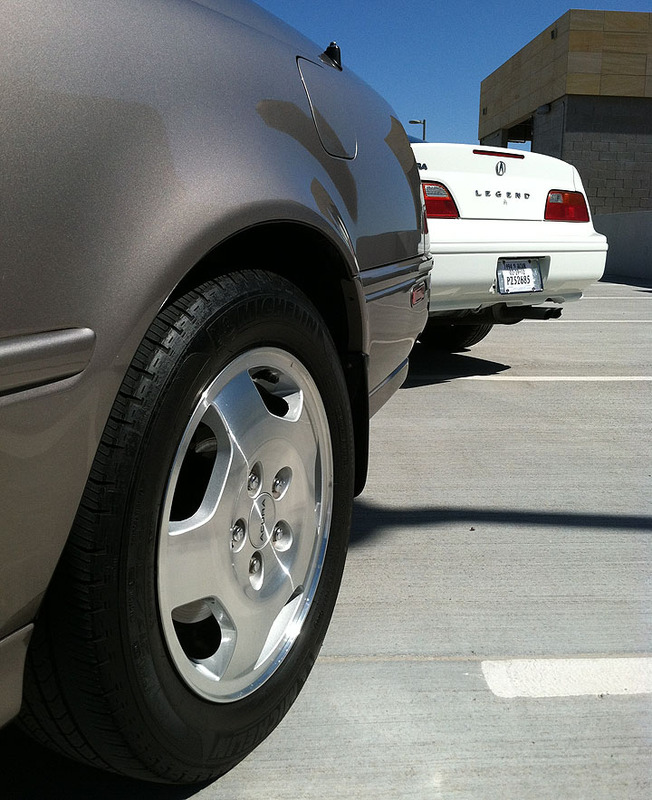 The leather used in the 94-97 accords seemed to dry and crack prematurely, while the leather they changed to in 98 held dirt and contaminants in the texture of the grain. The leather from a 93 Accord SE was soft and excellent quailty, but seemed to split, while maintaining its soft texture (most leather dries and cracks). In Acura products, the brown/mahogany leather used in the G1 Legend resisted wear very well, but seemed to lose it’s color in the sunlight faster than other Honda leathers. The leather used in the G2 Legend was very soft and luxurious, but seemed to be finished from a thin hide, so the wear came without warning. 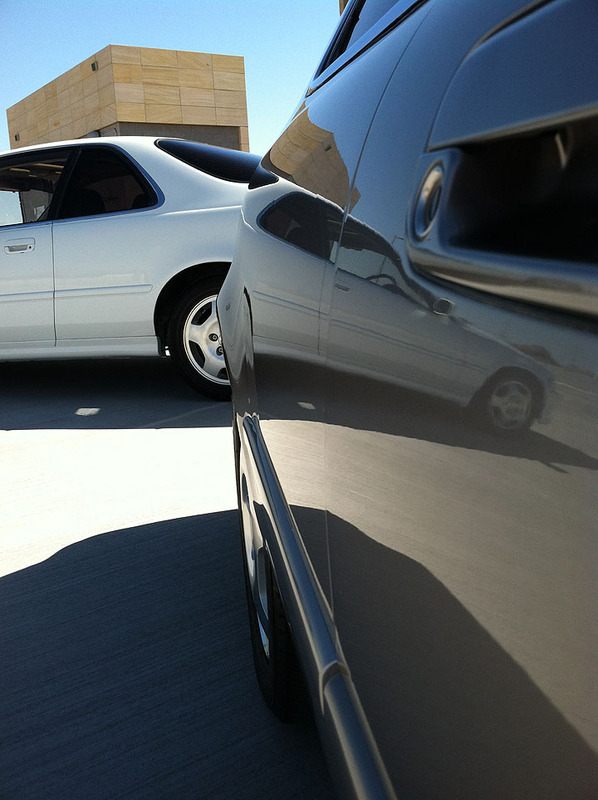 The design of the side bolsters in the coupe led to quick destruction of the leather there. The G1 TL had some of the best leather I have seen in an Acura product. The finish was smooth and supple, but very durable. The recent change to perforated leather seems to avoid early splitting, but often cracks and holds dirt in the finish. What surprises me the most is that the leather in new Acuras seems to be of a lesser quailty than the older ones, but the faux leather is getting nicer. Within a month of use in my taupe interior TSX, my leather had become completely discolored, while the taupe leather in my 08 TL S, showed no signs of wear after 50k miles. I could probably identify which model of Honda product a swatch of leather came from if put to the challenge. I say we need to put you to that challenge! That is an impressive summary of some of the characteristics of Acura interiors and finishes, past and present! 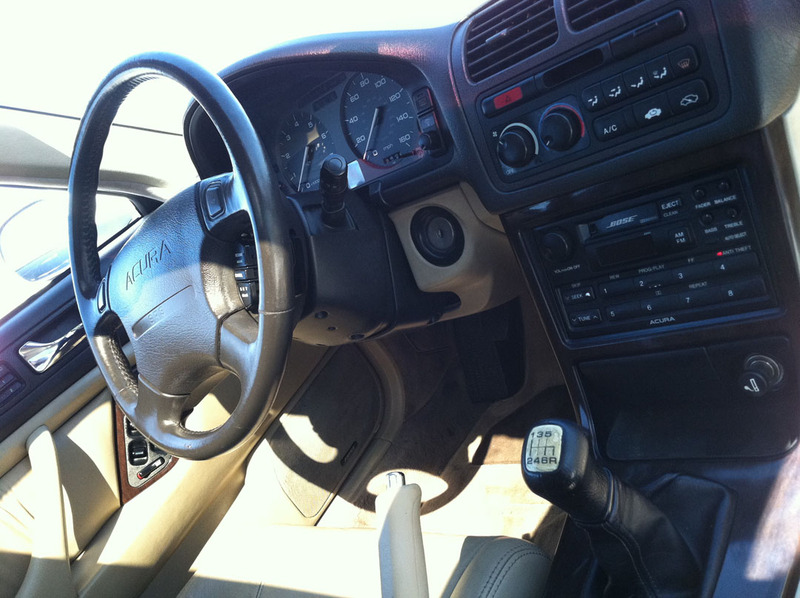 I’ve been rolling around on aftermarket Katzkin leather since 2004 so I haven’t paid much attention, but I do remember Branson’s 1993 Accord SE as having “weird” leather. You must have owned your fair share of Honda and Acura products to be able to speak to the quality of all of these interiors! 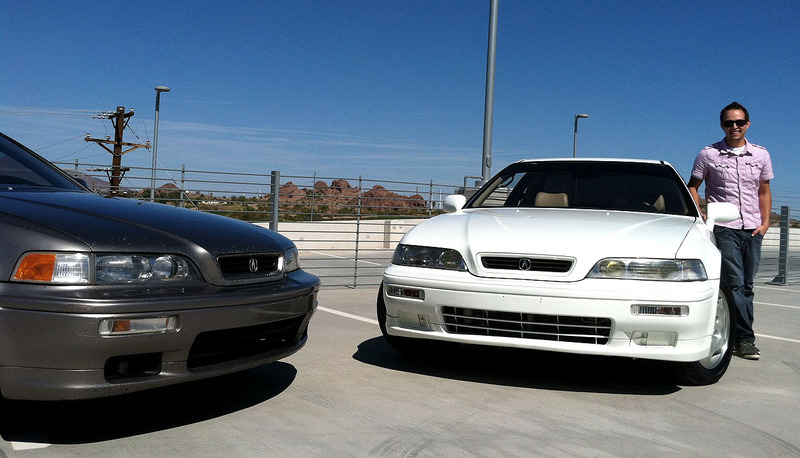 Well, I dare say that I have owned at least one of every model of Honda and Acura product! Sans the NSX and odyssey!! Those model cars would have looked spiffy on display in my basement room dedicated to classic and sports cars — sheltered from the effects of the seasons! Thank goodness for garages to keep our “real” cars clean! Are you going to attend NALM this year, then? This is a far more fun way to play with model cars than just looking at them in boxes! As for NALM – I’d love to! I’ve never been to Wisconsin before. Have you? I guess it just depends on getting enough time off work to drive there and back. 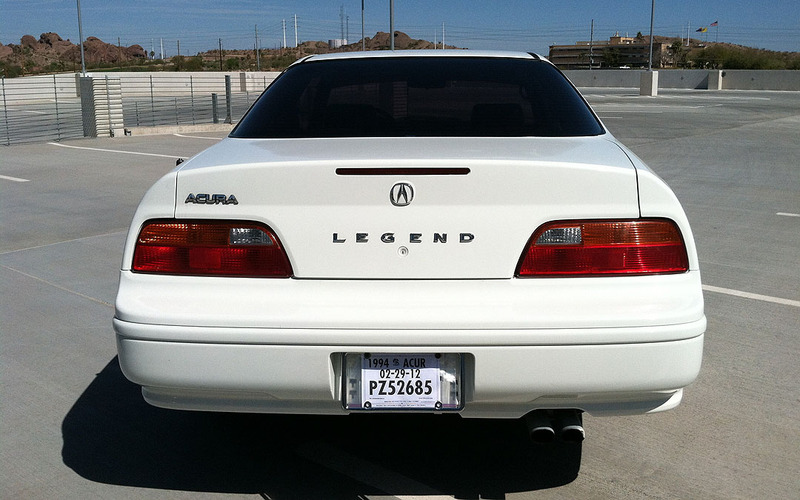 FYI at Escondido CA Acura legend with 600,000 miles still pristine! The dealership very proud of this. Thanks for the tip! I’m reaching out to them to see if I can find out more about the 600,000 mile Legend there. Can’t track down any information on this Legend, David 😦 Any help? Stalking alert. Can you guess who I’m hanging with?